The multi-purpose tilting flume is a base unit offering wide-ranging experimentation options in connection with open flumes such as weirs, overflows, and sluice gates, oceanography and offshore engineering. It is designed for research and training purposes. By means of an inclination adjustment device the channel can tilted with an accuracy of 1mm from 5.22% to 1.18% in longitudinal direction using a Hydraulic Jack and pinion arrangement, in order to equalize flow losses or to simulate a natural gradient., for example. The maximum discharge capacity is at least 1000 litres per second wholly supplied by the laboratory's floor sump. The whole discharge can be recirculated, hence it is adequate for sediment work. 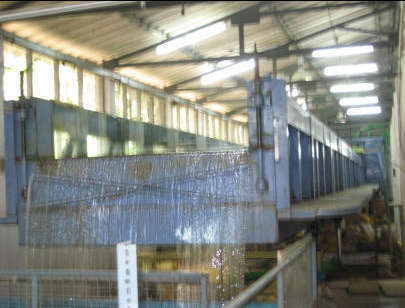 The head box is 3.0 x 3.8 x 3.7 m and serves to straighten the flow prior to introduction to the flume. The type of straighteners may be varied to suit the study. The tail box is 4.0 x 7.0 x 2.5 m. In a recirculatory mode, the tail box serves as the primary storage for the water used in the flume. Additional storage is provided in an adjacent isolatable floor sump. Four pumps of each 50HP capacity are provided to service the tilting flume. There are two possible flow loops for use in connection with this facility. Clear water can be supplied from the floor sump through these pumps in to the head box. Water-sediment (fine to medium sands) mixtures are recirculated from the tail box through the additional pumps directly back to the head box. Surface aeration is defined as the aeration or oxygen transfer into a liquid that takes place through the gas-liquid interface when a liquid is agitated. Surface aerators are very widely used for the treatment of wastewater by biological oxidation. The large majority of bioreactors used in the area of biotechnology are stirred-tank bioreactors, since stirring helps to effectively distribute gas and nutrients to the growing organism. The Environmental Engineering Laboratory in the Department of Civil Engineering is established to provide the needed resources to enhance the research activities of water resources and Environmental Engineering Group. The laboratory is equipped with modern equipments to carry out the research related to water quality problems. Examples of the ongoing projects include fate of nitrates in groundwater, pilot loop experiments to study the chemical and biological contamination in water distribution networks. Research and teaching facilities of the Environmental Engineering Laboratory are equipped with modern instrumentation. 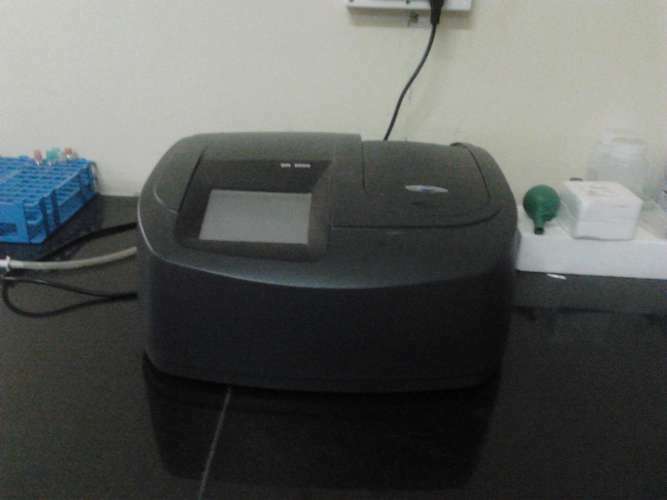 Recent acquisitions include a Atomic Absorption (AA) Spectrometer with COD digester, Ultra-Sonicator, centrifuge, BOD incubator, bench-top and potable water pH, DO and conductivity meter, a Precision Scientific Coliform Incubator, a Precision Scientific Shaking Bath Model, Autoclave, Platform Shaker etc. If you have any questions, ideas or suggestions, please feel free to write to .